On most projects, there are two types of critical paths. The first, and most generally recognized form, is a logical sequence of activities which, when the durations are added up, will give the longest time or "path" on the project. The critical path method (CPM) was developed to provide analysis of logical sequences of work so as to determine the longest chain or critical path of a schedule. A CPM schedule is usually referred to as a network. The second type of critical path is the dependency of construction manpower. Very often, the overall construction duration of a very tight project schedule is determined by the ability to place a maximum number of men on the work. Historical manpower density data can clearly show appropriate or possible manpower levels. The data will also show impossible manpower levels. When an "impossible" level of manpower is required for the construction schedule, then the only alternative is to increase the number of hours work through an extended workweek or additional work shifts. Both of these alternatives may add increased costs. 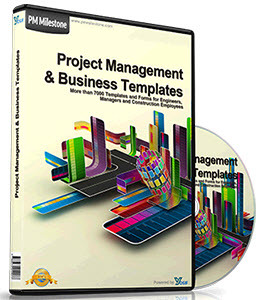 Refer to Cost Estimating, Chapter 6, and Keeping a Project on Time and Within Budget, Chapter 7 for information on extended workweek/overtime productivity losses. 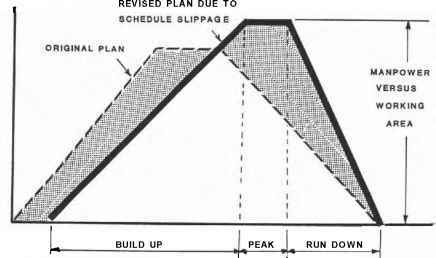 Figure 3-25 illustrates the effect of manpower requirements based on schedule. Figure 3-25. Determination of Duration. It is this last item that really highlights the key to effective project scheduling; SCOPE RECOGNITION. This equates to the ability to properly establish the scope in the first place, through a good estimate and, thereafter, to constantly recognize the true scope of the work as the project develops and is executed. The "testing" and measuring of actual performance against past experience can be a valuable source of verifying status, determining trends and making predictions. Naturally, the application of historical data to a specific project must always be carefully assessed. The following figures represent historical and typical schedule "rules of thumb" that can assist in the establishment and development of schedules during the execution phase of a project. This information is especially useful at the front end of a project when engineering is at a low percentage of completion, resulting in a preliminary and overall schedule. Note: The engineering sdhadule is the sane schedule as the overall project duration. 20% i_£ major site prep-30% if minimal site prep. ■Rie above schedule ratio/parts are "typical", but based an historical experience (see historical charts for specific nimtiers). 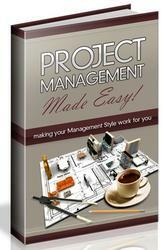 Each project schedule should be carefully evaluated for it's specific application to the standard, historical data. is sometimes referred to as the Phase 2, where the earlier Phase 1 covers the conceptual design studies of process/utility alternatives and case selection. This concept, this fact, then forms the basis of quality scheduling and manpower assessment. It is only "simple" work, where the task is performed by a single crew or squad that has no build-up or rundown. As indicated on Figure 3-26 the ratio breakdowns of the buildup, peak and rundown, have been rounded off to whole numbers as the historical numbers are slightly different. But, at this overall level of scheduling, such minor numerical differences are of little consequence. Based on the author's altered historical data base of several projects, there is only a slight difference with the "idealized" trape-zoids. For example, the engineering build-up, shown as 20%, is 22%, and the construction build-up, shown as 50%, is 57%. 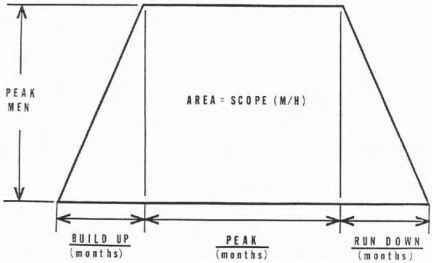 Figure 3-27 shows the trapezoidal technique for the construction phase. The calculation procedure shows two formulas. (usually in the range of 150-300 sq. ft,/man), the peak number of men can then be determined. 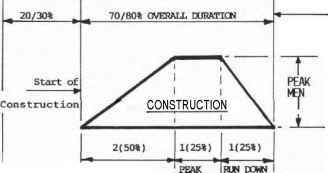 This schedule/manpower evaluation technique is a very powerful program for developing or checking an overall construction duration. The key assumption requiring good judgment is the assessment of the labor density level. If this assessment is good, then the resulting scheduling evaluation is of a high quality. It is emphasized that the Peak Manpower/Density Level application can only be used on single process units or complete process areas/buildings. The calculation process does not always work for individual categories of work. Is it possible to find secondary critical path using trapezoidal numbers?